Please limit your comment to a maximum of 1000 charachters. Reader comments on the site are the opinion of the comment writer, not the editor. We will not allow any comments that make false or unsubstantiated allegations, nor any that contain vulgar language or libellous statements. Comments that use hearsay or are based on reports where the supposed fact or quote is not a matter of public knowledge are also not permitted. We will also not correct grammar or spelling mistakes, and the editor reserves the right to not permit comments that include personal attacks on other people taking part in these comments. Please limit your message to a maximum of 1000 characters. Ijmuiden, the Netherlands: Mastervolt, the leading supplier of energy systems, is sponsoring the Royal Netherlands Sea Rescue Institution (KNRM). 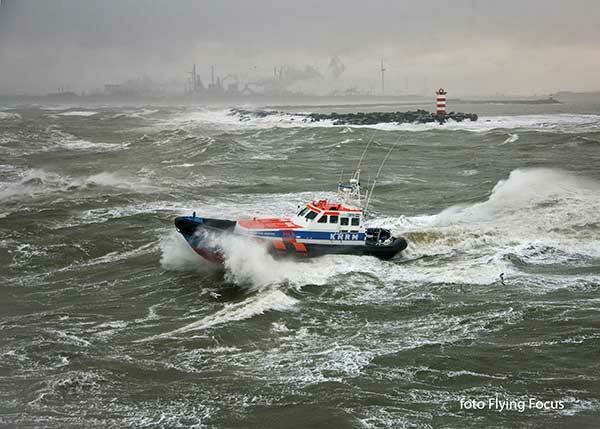 The company’s main aim is to ensure the KNRM teams a safer working environment. In addition to equipment, Mastervolt is providing a lifelong guarantee as well as training for installers within the framework of its corporate social responsibility (CSR) policy. “At Mastervolt we find it important that the causes we sponsor are close to our hearts,” De Winter continues. 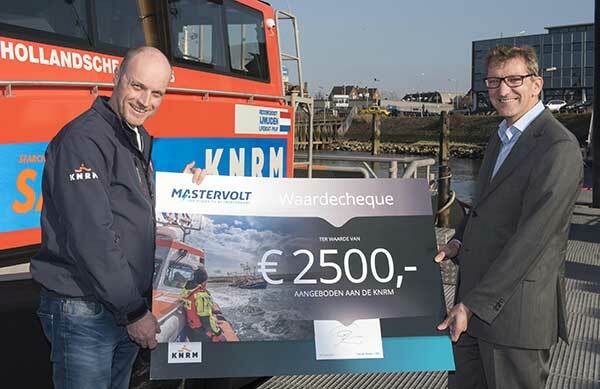 “People should immediately understand why Mastervolt sponsors the KNRM and our goal is to provide support that revolves around our products and services,” At the time the KNRM sponsor agreement was announced, the company’s personnel spontaneously started a fundraising campaign. The €2,500 raised was presented to Edward Zwitser of the KNRM by Ton de Winter in the form of a symbolic cheque on 6 April. Mastervolt is giving the KNRM a lifelong guarantee on all Mastervolt products it uses, and providing an annual budget for purchasing new products for both new builds and existing vessels. In addition to these products, knowledge will also be made available: Mastervolt will support the KNRM with advice and assistance in the design and optimisation of the electrical systems on board its vessels and vehicles. As products function at their best when installed correctly, training courses will be held for yards and installers working for the KNRM. To celebrate the sponsorship, Bouke van de Weerdt, service support manager at Mastervolt, symbolically presented a Mass Combi Ultra to Kasper Kools at the KNRM’s head office. The Mass Combi Ultra is a powerful battery charger, efficient inverter and versatile switching system in a single robust, lightweight and compact unit which is ideal for KNRM vessels. 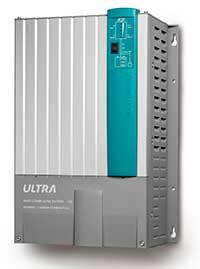 Mastervolt is a global leader in marine electrical systems and components. Mastervolt’s mission is to provide the Power to Be Independent - onboard, reliable power, anywhere in the world. Known for innovation, reliability and quality, Mastervolt products are designed to be used independently or as comprehensive, integrated systems - from power conversion to power and circuit management, all Mastervolt equipment is constructed for best performance and longevity in the harshest marine environments. Mastervolt’s broad range of electrical components and systems includes batteries, battery chargers, inverters, inverter/chargers, isolators, converters, transformers, digital switching systems, electric propulsion products and more. Mastervolt is part of Power Products LLC; which includes various major brands within the Marine, Mobile & Industrial division. Ancor, BEP, Blue Sea Systems, Marinco, Mastervolt and ProMariner have provided innovative electrical solutions as independent companies for decades. Strand Marine & Autosystems Ltd.